"I curse that win. It was the beginning of the life of a loser. That win led to the loss of my home, my children's inheritance, my quality of life: in fact, it cost me my future for years to come." Lynette Whale. A unique book about a New Zealand woman's journey through problem gambling is being launched today. 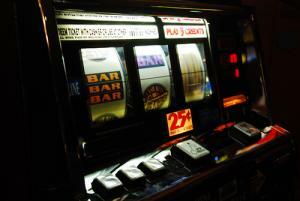 Written by Lynette Whale, a Christchurch-based mother, Pokies. Even when I win is an honest and heart-wrenching account of Lynette's battle with a pokie addiction that threatened to devastate her life. Graeme Ramsey, Problem Gambling Foundation CEO, says it takes an enormous amount of courage to speak out about something as personal as this. "Lynette writes about her experiences and how everyone around her was impacted by her actions, in an honest and forthright way which takes real courage," he says. "The book will provide insight and encouragement for anyone impacted by gambling as Lynette writes about her journey and how she came out the other end." "We hope the book helps people to understand how gambling can affect individuals, families and the community and we are proud that Lynette has written this book to help others," Graeme Ramsey says. Lynette 'played' the pokies for seven long years. She talks about how she got her life back on track and shares this resilience with others through her book. The book, published by Steele Roberts and priced at $24.99, will be available through bookstores from late November or by ordering online at www.steeleroberts.co.nz.